It's Time to Rediscover the Wonderful Books We All Cherish. 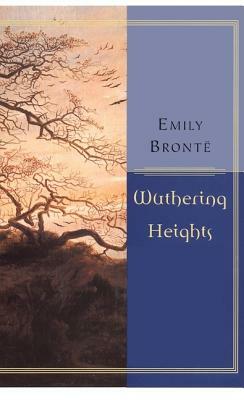 Emily Brontë's classic tempestuous love story of Catherine and Heathcliff is played out against the backdrop of the English moors. As young Catherine, daughter of the house, and Heathcliff, an uncouth orphan adopted by the family, grow up together and fall in love, their companionship turns into obsession. Family, class, and fate work cruelly against these two star--crossed lovers.Wuthering Heights is a beloved classic of English literature.